Those of you who have immersed themselves in the disturbing dystopic world imagined by Black Mirror, called Bandersnatch, already experienced the intriguing feeling of having the possibility to choose how the story ends. We know, being the “master of puppets” does make you feel good. But what if we told you that you can do the same thing, but this time with an actual ad? Would you grab a chance to deep dive in such adventure? Sure, you would! So, let’s all check the new digital campaign for the launch of the new Resident Evil 2 game. The spot, which comes from the bright minds of Capcom EMEA and UK and creative hands of digital agency Biborg, features a multiple-choice TrueView that allows viewers to choose the side of the story they want. Sure, gamers could already be accustomed to such experience, but those who are not familiar with it or want to start exploring the interactive world of gaming can now interact and get right into the heart of the intrigue. They make the story themselves. And that’s what we call a highly-creative way to invite ‘newbies’ into the wonderful world of gaming! Following a similar successful recipe showcased by Black Mirror in its last episode, the London-based agency used a YouTube TrueView format, which links several videos with endcards that propose different choices at the end of each short movie. Gamers, and marketing enthusiasts, have therefore the possibility to choose how the story unfolds. First, they have to pick Leon or Claire, the game’s two main characters, as the protagonists of their tale. Then, once the choice has been made, viewers are invited to guide the selected character deep in the heart of the horror story. 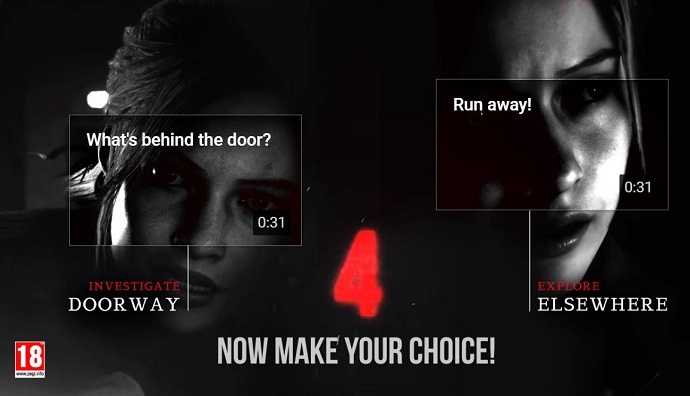 “The Choice is Yours” short film is one of the first multiple-choice TrueView ads in the video game sector, allowing internauts to experience the latest installment of the cult survival horror game. It’s a pity that this wonderful adventure ends in just one-and-a-half minutes. But even so, we can say that it is just enough to present the various scenes within the game and make gamers order their own copy of the game. “We worked with Capcom to capture the gameplay, as we wanted to create an immersive and active experience with our YouTube TrueView placement. 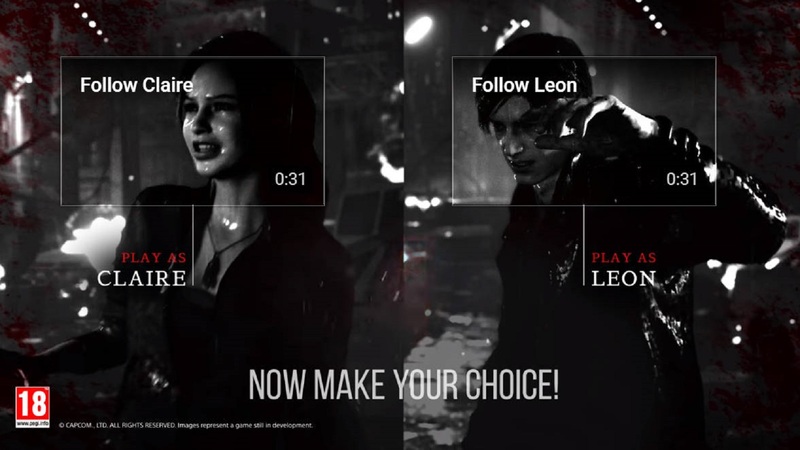 Twisting the conventional use of YouTube end cards, viewers were invited to follow either Leon or Claire to discover RPD from their selected character’s own point of view. We used paid placements to reach many different types of gamers, inviting our most engaged audiences to go further and discover multiple different adventures that lie ahead in the game,” explains Kais Ali Benali, UK Managing Director at Biborg. “It’s been a great experience working with Biborg on this campaign and these Interactive TrueView ads, in particular, were perfect for depicting the story choices you’ll have to make in our game,” continued Stefano Barolo, UK & EMEA Brand Manager at Capcom. We kind of made our choice. What about you? Which side of the story works best for you? Let us know how your adventure ended by sharing your thoughts in the comment section below!